BambooU(niversity) was an idea originally conceived to help teach professionals about the potential of bamboo as a green building material. 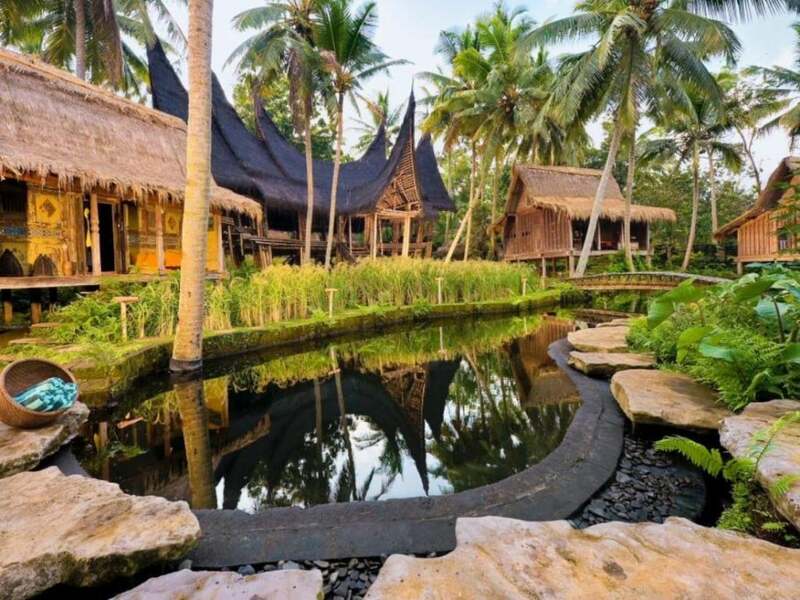 In its current form it is a design and bamboo building workshop in Bali hosted by the Kul Kul Farm at the Green School; facilitated in collaboration with the bamboo design firm, IBUKU. Bamboo U is a unique opportunity to design and build with bamboo alongside some of the architects, designers and craftsmen who built Green School. The group will investigate the available sites and hear from Elora Hardy and her team at IBUKU, the design firm that designed many of the classrooms at Green School and all the houses at Green Village. Participants will engage in a series of on-site workshops and the group will experience first-hand the potential of bamboo. A couple of days will be spent modeling and the bulk remainder of the time will be given over to building 1:1 structures with guidance from skilled local craftsman. Interspersed will be talks/discussions about the approach to sustainability by the Bamboo U team and guest bamboo experts from different parts of the world. Participants will leave with an expanded, cutting edge view of bamboo architecture. 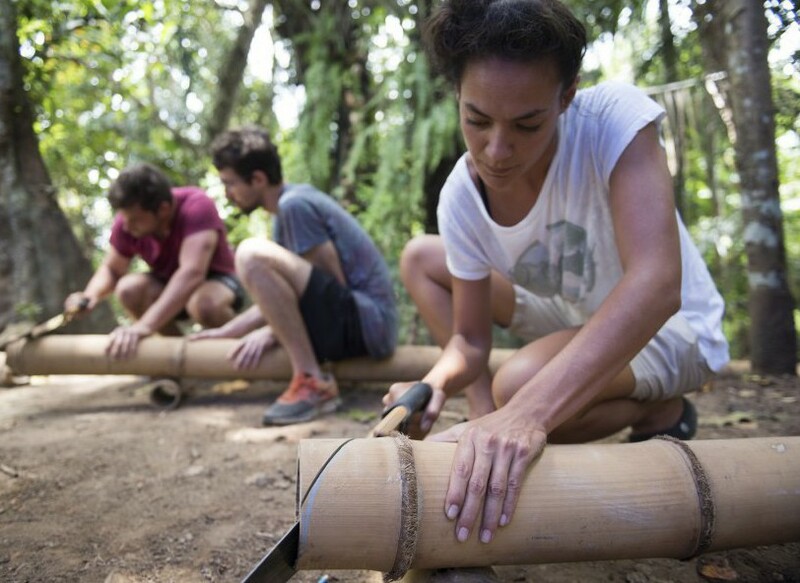 They will understand the life cycle of bamboo from being a seedling to a home, and will gain key insights into the gifts and challenges of what it takes to build in bamboo. Finally participants will have the opportunity to contribute to the expansion of Bamboo U.
John Hardy graduated from the Ontario College of Art & Design, set off to travel the world and settled in Bali. In 1975, he started a small jewelry business that grew into an international company. In 2007, John stopped working in the company to dedicate his time on advocating for and building a more sustainable world through education and design. 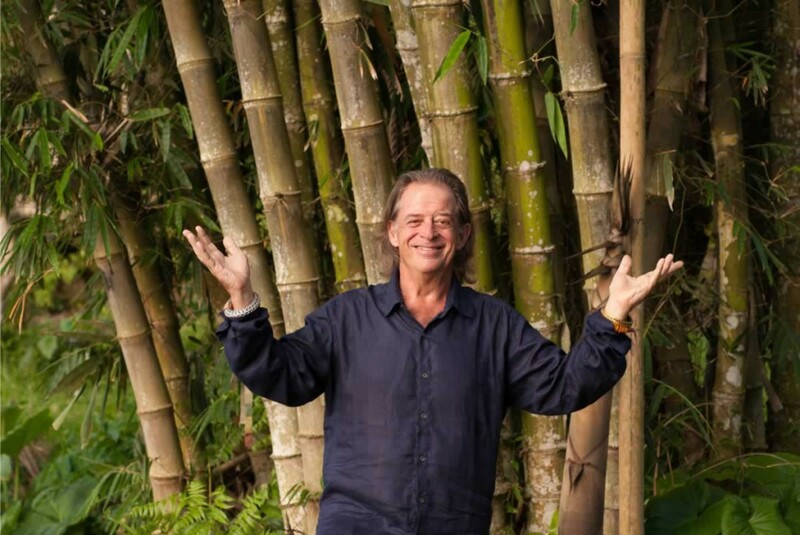 As his first major project, he and his wife Cynthia conceived and created the Green School in Bali, Indonesia to deliver pioneering education for the future. The uniqueness of the school lies in the integration of traditional subjects, creative arts and green studies wrapped in rich layers of experiential, environmental, and entrepreneurial learning. John spoke at TED Global about the Green School and the USGBC awarded the school with the 2012 Greenest School on Earth award. Today, the school has a student body of approximately 275 from over 40 countries. In addition to the Green School, in 2009, John teamed up with his daughter Elora to create award winning Green Village and Ibuku. Collaborating on their combined 45 years experience in art and design, long interest in architecture and focus on working with regenerative and adaptable materials, the companies are setting out to establish new design vocabulary, construction techniques and engineering standards for bamboo residences, hotels, public buildings, interiors and furnishings. 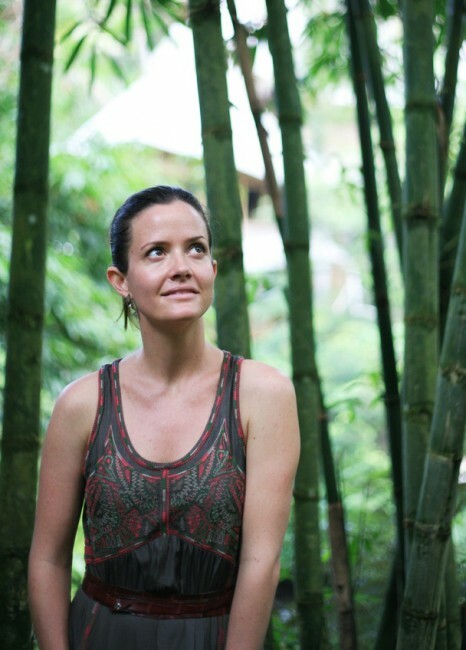 Orin Hardy is the director of gardens at IBUKU and founder of The Kul Kul Farm, Green School, Bali. He combines international expertise with local knowledge. Raised in a Balinese village he studied regenerative design, permaculture, and ecological sustainability at The Evergreen State College in the USA. His work supports people in realizing sustainable systems and promotes the importance of permaculture design, organic agriculture, natural building and ecological living. All Bamboo U participants will be staying at The Kul Kul Farm. 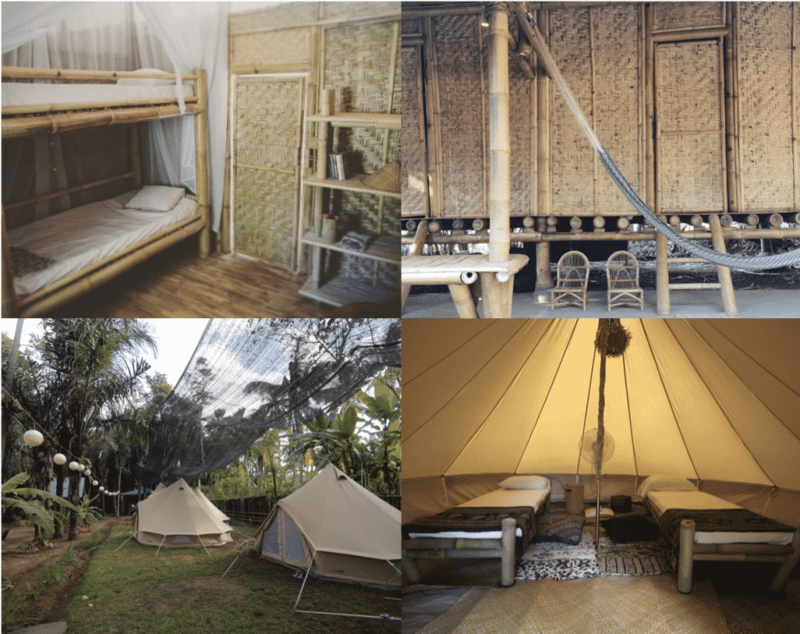 Accommodations are charming and rustic either in shared beautiful, boutique natural canvas tents (1 tent sleeps 2 to 4ppl), or an option to upgrade to a shared room in a bamboo bunkhouse. Both options incl composting toilets and hot outdoor showers. * If you are a couple, or would rather have a private room or tent please email maria@kulkulfarm.com and we will try our best to accommodate you.